PaintScratch.com sells the highest quality Hyundai paint pens for all Hyundai years and models. Order a Hyundai paint pen for your vehicle by clicking your model above. 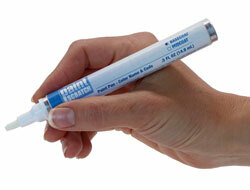 Next select your Hyundai year and color order your Hyundai touch up paint pen. Hyundai is producing cars now every bit as good as Toyota and Honda. At first, their vehicles were cheap with frequent breakdowns and poor quality. Founded in 1947 by Chung Ju-yung, Hyundai engages in both vehicle manufacturing and heavy equipment.